As evidenced by the various conversations at yesterday’s FinTech Day, the next few years promises to be one of profound transformation in the financial sector. At a time when changing consumer behavior and new technologies are inspiring innovation throughout the financial services community, I had a chance to open this year’s FinTech Day program with a look at how collaboration between traditional institutions and emerging technology firms bodes well for the future. With continuous pressure to innovate, banks today are learning from new challengers, adapting their offerings and identifying opportunities to collaborate. At the same time, we continue to watch as many fintech companies develop strategies, practices and new technologies that will dramatically influence how banking gets done in the future. Personally, I believe this is a very exciting time to be in banking — a sentiment shared by the vast majority of the 125+ that were with us at Nasdaq’s MarketSite yesterday. While I plan to go deeper into some of the presentations made in subsequent posts and columns on BankDirector.com, below are three slides from my welcoming remarks that various attendees asked me to share. The irony of sharing an idea for a new bank? Newly chartered banks (de novos) are basically extinct. So for a program like FinTech Day, I thought it was imperative to provide context to the U.S. banking market by looking at the total number of FDIC-insured institutions. These numbers are accurate as of last Friday. 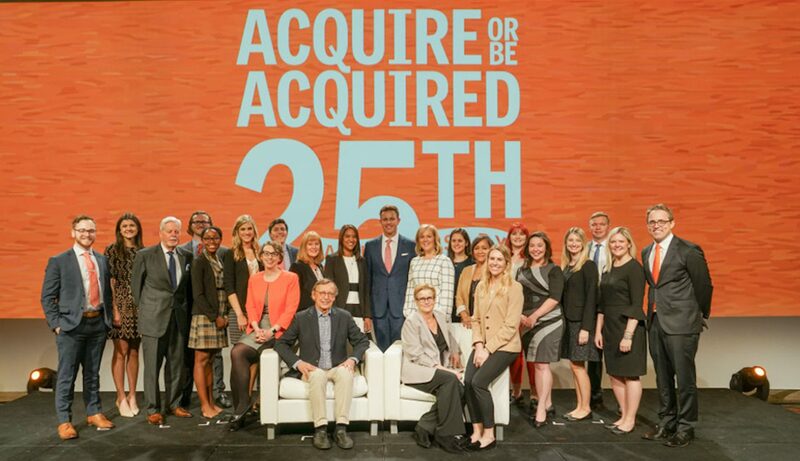 This final slide comes from our annual Acquire or Be Acquired conference in Arizona. There, we welcomed 930+ to explore financial growth options available to a bank’s CEO and board. To open our second full day, I polled our audience using a real-time response device to see how likely they are to invite a fintech company in for a conversation. As you can see from the results above, real opportunities remain for meaningful dialogue and partnership discussions. Thanks to all who joined us, the speakers that shard their insights and opinions and our friends from Nasdaq!